The SuperRange4 with FCC modular approval allows existing products to be instantly transformed into hi-performance, market ready 4.9 GHz Public Safety Band solution offerings. 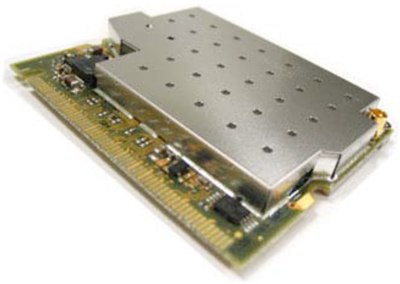 The SuperRange4 is the first hi-power 4.9GHz mini-PCI card with FCC Part90Y modular approval. Atheros, 6th Generation, AR5414 chipset. It is licensed for 4.9GHz operation with up to a 27dBi antenna.